It's a dark time in England's history, as wars are being waged and the plague is sweeping across Europe, the mythic reign of vampires is about to begin. Lady Sophia, a virtuous young maiden sent to a convent in Northumberland after the death of her mother, has her world turned upside down when she falls in love with a brave young page determined to become a knight under her father’s charge. When the most powerful vampire in the land sets his eye on Sophia for a wife, the young lovers must do the unthinkable to survive. 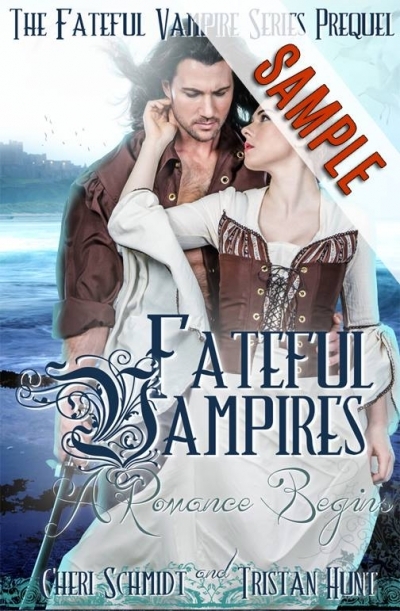 From the award-winning Fateful Vampire Series comes the much-anticipated prequel...the story that starts it all...Fateful Vampires: A Romance Begins.